* Led Hockey Odisha in the 8th Senior Women National Hockey Championship (Division-A), held at Ranchi, Jharkhand from Feb 1 to 11, 2018. * She was the captain of the India team that won the silver medal in the 5th Women Asian Champions Trophy Hockey Tournament, held at Donghae City, South Korea from May 13 to 20, 2018. * She was part of the Indian team that won the gold medal Women’s Asia Cup after a gap of 13 years at Kakamigahara city in Japan on Nov 5, 2017. * Represented India in the Rio Olympic Games, 2016. * Played her 50th International match against New Zealand in the Hawke’s Bay Cup Tournament at Hastings in New Zealand on April 16, 2015. * Represented India in the 8th Women`s Asia Cup Hockey Tournament at Kuala Lumpur, Malaysia from September 21 to 27, 2013. * Made her International debut in 2009. * Tied the nuptial knot with long-time friend and former National level hockey player Deepak Lakra at Kesharamal Church at Rajgangpur in Sundargarh on Dec 28, 2018. * Completed 100 international caps in the third of the five-match Test series against New Zealand on May 17, 2017. 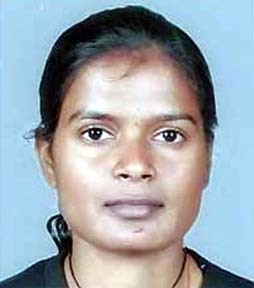 * Odisha government on October 10, 2014 announced a cash award of Rs 75,000 lakh for Sunita for helping India win women`s bronze medal in the 17th Asian Games at Incheon. * Odisha Cricket Association on Oct 2, 2014 announced a cash award of Rs 10,000 for Sunita for helping India win the bronze medal in the 17th Asian Games at Incheon.